As with any business, investment is the crucial first step to plan before getting started. You should have enough investment to keep running the business in initial months without profits. With entrepreneurship, there’s always a fear of failure and losing all the investment – the #1 reason many don’t take the first step. 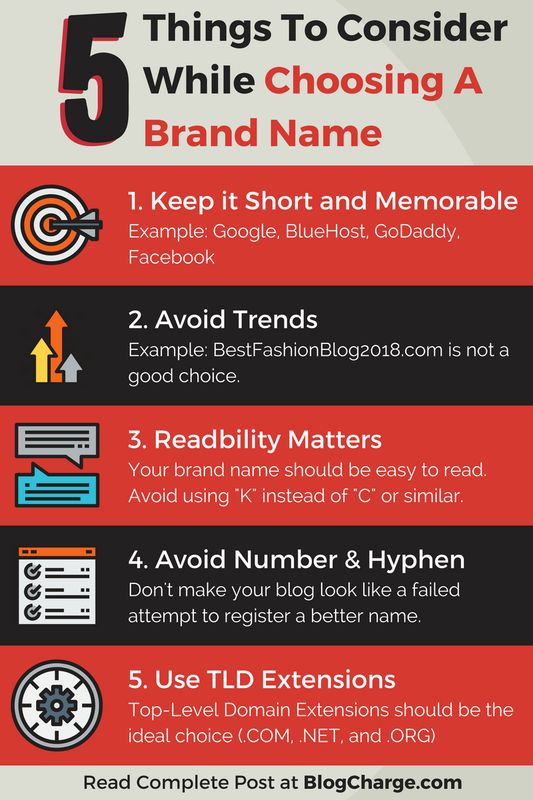 The same strategy applies to blogging – an online business which is providing bread and butter to thousands of individuals worldwide. Although the initial investment required to start a blog is minimal (less than $100 in most cases), but the fear of failure is not. 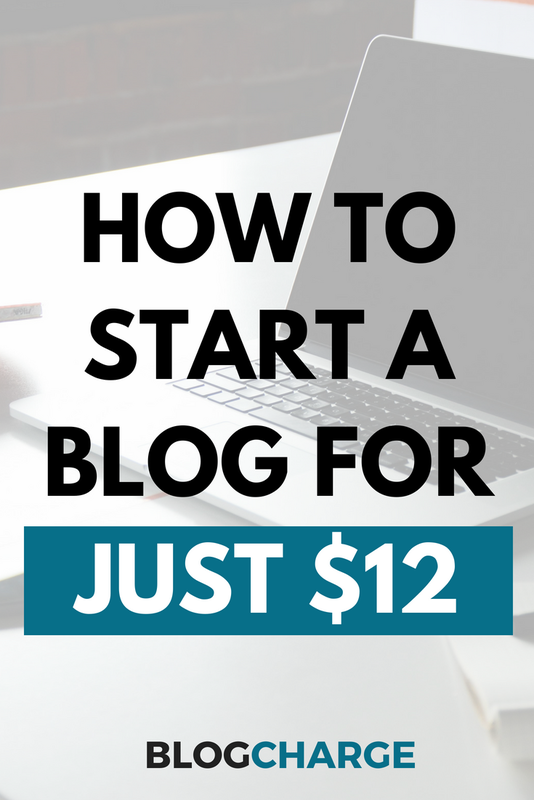 Imagine if you could start a blog for just $12. It won’t break your bank, you won’t mind losing it, and most importantly, you’ll take the first step. Sound interesting? Let’s see how you can grab this limited-time offer. Domain Name: A website address that’ll allow internet users to access your blog. For example, BlogCharge.com is where people can find me. Web Hosting: A remote server storage to host your website data and serve it to visitors. There are other important things as well as a theme, premium plugins, online tools, etc. but above two are the bare minimum to start a blog. To keep our cost under $12, we’ll use only free themes, plugins, and online tools (I’ll send the list, as soon as we start the free blog consulting). Once you’re confident with your test run, you can invest more. If you’re finding it hard to brainstorm domain name ideas manually, use these 24 brand name generator tools. There’s no need to hurry or make quick decisions. Take your time and decide a name which can stick for long. Now that you have a great domain name in your mind let’s move on to the next step – getting web hosting. I have previously shared my honest InterServer review where I talked about reasons to choose it over BlueHost and HostGator. Monthly payment: No need to buy for years. You can pay as you go without any contract. Fixed recurring charges: Unlike other popular hosts (including BlueHost, SiteGround, HostGator, etc. ), InterServer works on a fixed recurring payment system. The prices won’t go up when renewing your subscription and you’ll pay the same amount for life. Beginner-friendly Perks: You get one-click WordPress install, free SSL, free website migration, security, and outstanding customer support. 2. 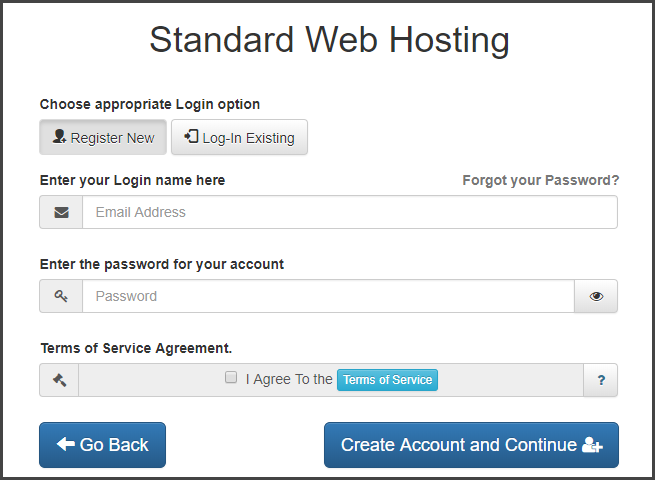 On “standard web hosting” page click on the “buy now” button. 5. On the next page, register for a new account by entering your email and a password. Click on “Create an account and continue” button. 6. This screen is where we’ll save money. Verify that the domain you entered is correct. 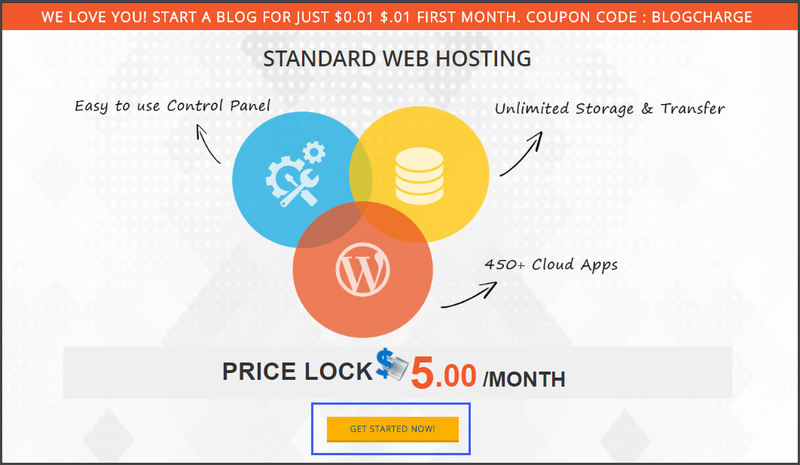 ii) Apply coupon code “BLOGCHARGE” to get first month hosting for just $0.01 and $5/month for the remaining two months. 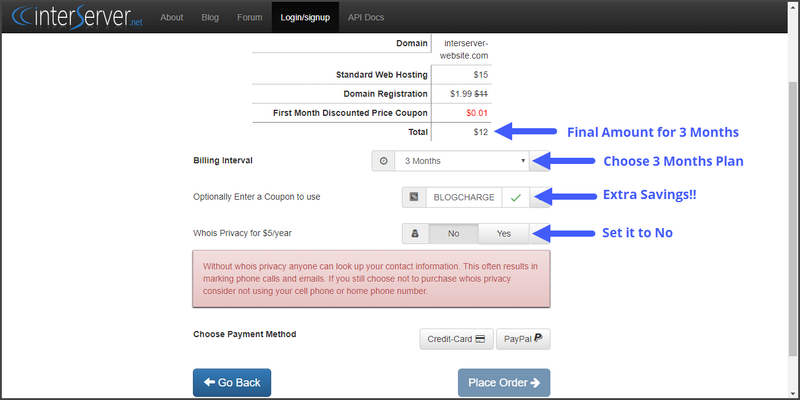 iv) Verify that the final amount to be paid is $12 for 3-months hosting plan with the domain name. v) Choose your payment method – PayPal or Credit Card and pay the amount. Congratulations 🎉 You’ve successfully purchased the web hosting and took your first step towards a successful blogging career. As discussed earlier, installing WordPress is just a few clicks away with InterServer. I’ve already discussed the step-by-step guide here. Follow the steps mentioned and if you face any issue, contact me. To make your blogging journey more relaxed, I’m offering a personal 30-days blog consulting if you buy InterServer web hosting using my affiliate link. I’ll reach out to you in less than 48 hours, and we can start working on building your blog. Sounds fair? Starting a new blog can be overwhelming, and the fear of messing everything will always be on your mind. However, if you just have to invest $12 to start a new website with someone by your side to help, it’ll be an easy journey. The Twelve Dollar blog is a little project I started to help newbies take their first step and make the most out of it. If I made you comfortable, get started and take action. Consider sharing this article with your friends and family who might want to start a blog on a budget. Also, leave your thoughts about this project in the comments section below. It is a really nice idea to give your consulting for free in exchange for an affiliate sale. Do let me know, how well this idea works out.